When you travel, you need to make sure that you have the appropriate currency. On holiday, on a business trip, or to experience the world, you need to have the right local currency. Getting that currency abroad is not always easy or affordable. We want to make it both. 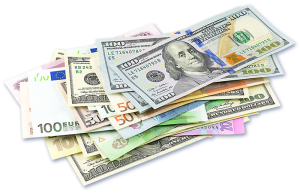 At First Currency Exchange, we offer a straightforward currency exchange service. We are part of Danesh Exchange, a service known for their high quality results and exceptional customer experiences. You can expect the same satisfaction with us. We want to help every individual to have the money they need when they travel across the globe. Find our unbeatable exchange rate on 03 9069 9284 today! The main reason why so many choose us is the affordability. You always have to worry about commission, fees, and rates when working with banks or other services. This makes it costly, especially when certain banks or services charge you a lot of money just to get your currency. We believe that you should get what you give. When you give us your currency, we will exchange it for an equal amount in your chosen currency without any extra charges. There are no fees and there is no commission with us. On top of that, we have the best rates in the industry. 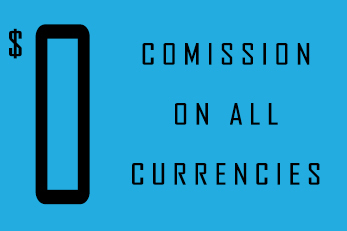 You are saving yourself money by using our services for your currency conversion. For travelling groups, students, and seniors, the rates above are better. We offer special rates for these individuals. You can work with us without any hassles. There is no reason to jump through hoops for a currency conversion, and we feel strongly about that. We are dedicated to customer satisfaction. We want you to get your money and to be happy with the service. To accomplish that, we work hard for you. Our services focus on offering the most affordable, hassle-free conversion available in the industry. When working with us, you will not have to deal with a high stress situation. All of this means happiness for you. You have more money and less stress on your way abroad. Wherever you plan to go, count on us for help. We will get you your currency without making the trip stressful and difficult before it begins. You will receive excellent rates, the best customer satisfaction in the industry, and a great experience overall. 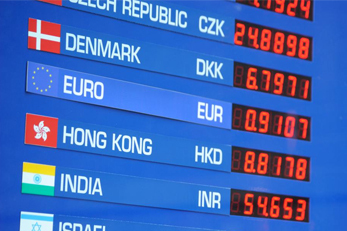 If you plan to go abroad and need to do a currency conversion, choose us. We will get you started with a smile. Call now to begin. 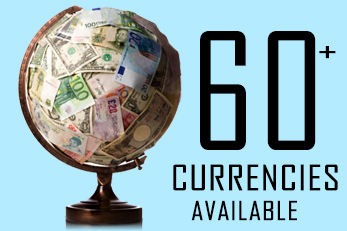 For all your foreign currency needs such as travel, business, investment, etc. you need a specialist’s advice to make the best decision that will ensure highest value at minimal cost. Our experience spanned over a long period of time and currency related activities to give you the right information and amount of currency needed for your overseas trip or transactions. This is a specialized service to guarantee that you have a pleasant experience. Rest assured; you will certainly have a lot of savings by using our service- best rates and $0 commissions. We deal in over 65 currencies at the most competitive rates for unrestricted foreign exchange experience for our customers. You can access our professional counselling at your convenience for your benefits. We look forward to serving you. We pride in highest level of customer service delivery. It is our goal to ensure that every customer has 99.99% satisfaction with our services. We have a large number of return customers and referrals due to excellent service delivery. Be one of our numerous satisfied loyal customers by contacting us today either through phone, email, or request form on our website. We are poised to help you. I only use this business to exchange my money. Googled everywhere to get the best rates. USD rate was at 0.7135 but got offered 0.7050 also mentioned i’m a student and got the rate at 0.7063. First time using them and very happy. Much better than banks and the post office for foreign currency with the best rates and no charges! very friendly and helpful will use again next time I am in Australia.